Movement on the Moscow River is really lively. In addition to the Moscow Shipping Company, private boats belonging to small companies also move along the river. Many of them tend to specialize in hosting events (like weddings, birthdays, etc.) // View of Moscow City (right) and a skyscraper on Mosfilmovskaya Street (left). 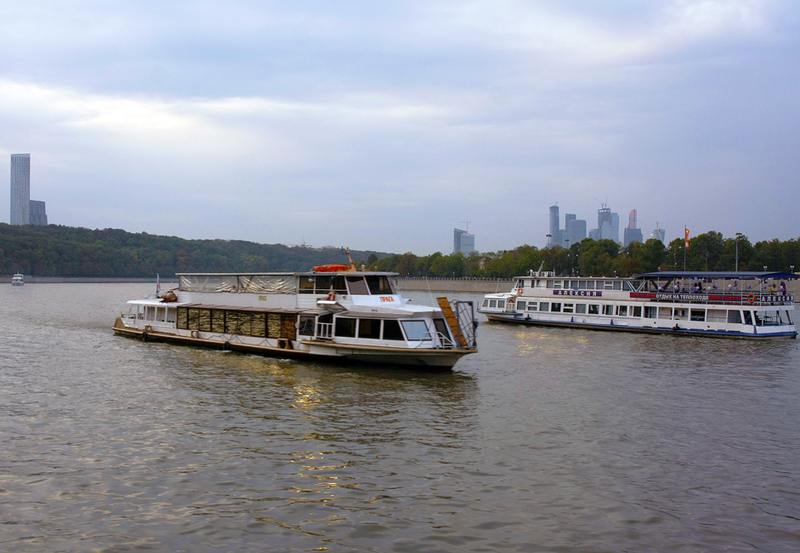 One way to see Moscow's sites is to take a boat ride along the Moscow River, the most interesting route goes from Novospassky Bridge to Kievsky Train Station.